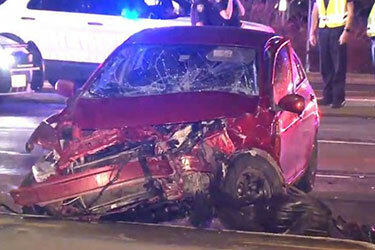 One person was seriously injured in a crash possibly caused by a medical condition in northwest Harris County. Thursday night a woman was driving northbound on Fallbrook when she crossed an intersection and hit a car going eastbound on FM 1960. Lieutenant James Lovett of the Harris County Sheriff’s Office believed a medical emergency that caused the wreck. The other driver, also a woman, was taken to the hospital. There have been no reports on the type of medical condition the woman has; however, we do know one of women remains in serious condition.